Handcrafted organic hot sauces, marinades and rubs. Our hot sauce story really starts back in late 1950’s as several of my cousins left Portugal to live in Lourenco Marques, Mozambique. After the country gained its independence, the city was renamed to Maputo. Mozambique – along with Angola and Goa – had previously been Portuguese colonies. My cousins soon started sending us Piri Piri peppers and homemade, artisan hot sauce. The sauce was very rustic and was created by using a pumice stone to grind the peppers, adding garlic, vinegar, oil and spices. This mix, more of a paste than a sauce, was immediately rubbed on most meats and fish. My cousins moved back to Portugal in the late 1980’s and one actually migrated to the US and still currently lives in the village of Sleepy Hollow, NY. Since the Piri Piri peppers were not always available, my family started developing our own homemade hot sauce based on variations of the original. My father Joaquim, God rest his soul, loved to cook and instilled the same passion in me. And that included making the hot sauce “o molho.” He always professed the handcrafted approach and impressed upon me that the peppers were not the same year after year…thus we came to expect a unique flavor from our crop of peppers each year. Today at Manofuel we still stand by the same standards my family has employed for generations. 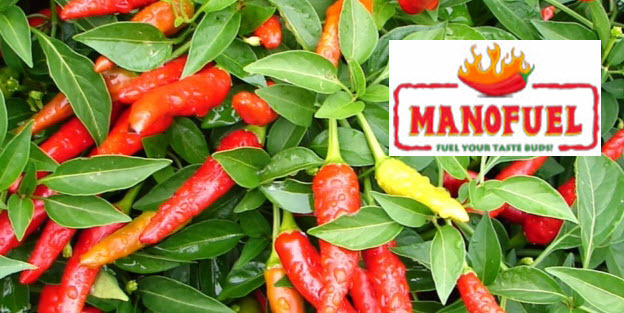 All Manofuel artisan hot sauces, pastes, marinades and rubs will always be handcrafted to the highest standards and will always include home grown peppers. The process begins in the heart of winter, every January, planting seeds. These seeds germinate and grow in a warm sunny environment and then are planted outdoors once the weather is warmer. Peppers are picked towards the end of the summer, dried naturally and then oven dry roasted until the seeds are at a point where they can be ground to powder. 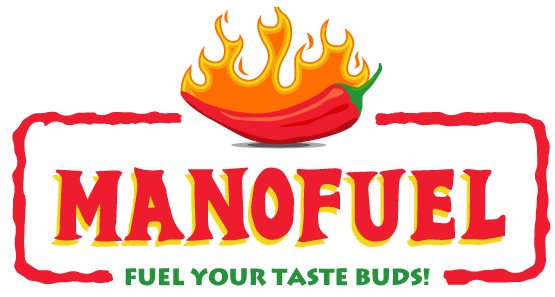 We know you’ll enjoy Manofuel products and appreciate the fresh, organic approach to producing all of our artisan hot sauces, pastes, marinades and rubs. But mostly we know you’ll enjoy the flavor that my family has refined for over 60 years. More handcrafted sauces and products on the way!